If you love to use Japanese brush pens for your artwork, you already know how expensive they can be. Especially if you use them often, and you order them from a seller based in Japan. Thankfully, you do not actually have to order your Japanese Brush pens from a store in Japan, as there are other ways to find them closer to home and much cheaper. 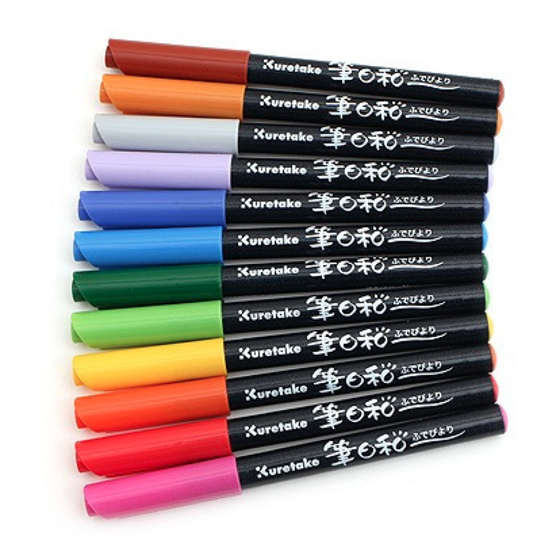 Online stores selling Japanese art supplies -- There are several excellent online art supply stores based in the west that now specialize in Japanese art supplies. Particularly as Japanese art supplies have become so popular in the west in the last few years. Do a search for some of the more popular online shops, and check their prices. Some are cheaper than others. Some also have frequent sales on brush pens, or offer specials if you spend more than a certain monetary amount. Some even offer low prices on Japanese brush pens if you buy in bulk. Buy large packs of Japanese brush pens -- When you do find a seller with reasonable prices on Japanese brush pens, buy as large of a pack as you can afford. After all, a pack of six brush pens may be 10 dollars, whereas a pack of 24 brush pens is only 20 dollars. A huge saving per brush pen, and it will also give you more pens to work with when you do your artwork. Free worldwide delivery -- While you may end up paying a hefty shipping fee for Japanese brush pens bought from Japan, some of the online art supply shops in the west offer free worldwide delivery to anyone. This can mean, for the amount you save on shipping, you can actually afford to buy even more Japanese brush pens.